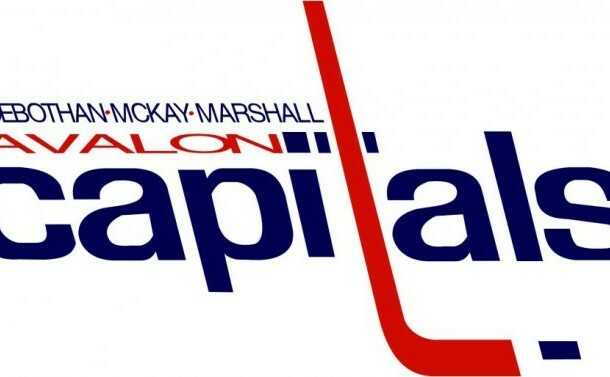 The Roebothan McKay Marshall Capitals won a pair of games in weekend action in the St. John’s Junior Hockey League play. On Saturday night, the Capitals won a squeaker against the CBR Assante Wealth Management Renegades with a 5-4 score. Goal scorers for the Capitals were Bobby Squires, Michael Collins, Zach Tucker, Michael Cole and Kristian Husk. The Capitals outshot the Regengades 43-36 and after a scoreless first period, the Capitals pulled ahead 4-1 in the second period, squeaking out the victory with a 5-4 win in the third. The Renegades had goals from Mitch King, Greg Beaumaster, Stephen LeDrew and Ryan Power. Doug Pippy picked up the win for the Capitals with John MacDonald being tagged with the loss for the Renegades. The Capitals winning ways continued with a 12-1 thumping of the IJ Smith Home Building Centre Trinity Placentia Flyers as they fired 43 shots at the Flyers net minder. The capitals led 4-0 after the first period and pushed their lead to 6-1 in the second. The Flyers lone goal was scored in the second my Jordain Cains. The Capitals continued their dominance closing out the third period with 6 unanswered goals. Andrew Marshall picked up a hat trick for the Capitals, with Ben Cleary and Michael Cole picking up a pair of goals. Alex Powell had a four point night netting a single goal and adding three assists. Zack Mitchell picked up the win for the Capitals, with Coady Hann being tagged with the loss.